Since the term cloud computing was coined during the early 2000s, it has been developing at a rapid pace. 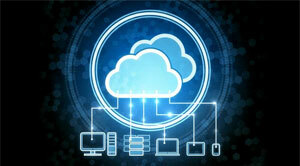 Since its emergence, cloud has played a significant role in the transformation of every business sector. The race to advanced cloud capabilities will only gather more pace as the technology matures over time. The capability to understand, as well as implement cloud computing techniques is important for IT experts and business leaders, regardless of whether they operate in IT or not. As businesses evolve, cloud infrastructure would require evolving too. In the coming days, many companies envision to adopt and work with hybrid clouds to complement their present investments. Meanwhile, various other aspects that require advanced controls and higher degrees of safety would be redirected to the private cloud within a hybrid cloud environment. This way, companies can better control as well as oversee systems management and operations. Today, most of the organizations adopt both public and private clouds. This reflects on the fact that if a business uses a hybrid cloud, it can certainly benefit from access to an optimized network connection to that cloud. Researchers also predict that industry-specific clouds will become the norm to meet the unique needs, capability requirements, and compliance standards for a wide array of industries.